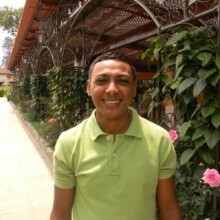 Aide became a GOJoven Fellow at age 26. She is a social worker who lives in Quintana Roo. She has acted as a counselor for young people and their parents in Cancun through a municipal court-run service program for youth offenders. Aide oversaw the family planning and reproductive health program of the Mexican Institute for Social Security in peri-urban areas of Playa del Carmen for a few years prior to being based out of Cancun. In this capacity, she has supervised educators who make home visits to provide counseling and contraception to youth and families. Aide is committed to social change, and passionate about working to improve the sexual and reproductive health of the youth and women of Quintana Roo, Mexico. She received the Summit Educational Scholarship in 2007 and completed her Master’s Degree in Psycology and Family Therapy at the Universidad del Mayab in Yucatán.